The Belgian creative agency Design is Dead has used a 3D videomapping to create an interactive gaming experience for the brand of Eristoff vodka on the facade of a building in St. Peter's square in Ghent (Belgium), in order to draw the attention of young people most fiesteros ganteses. 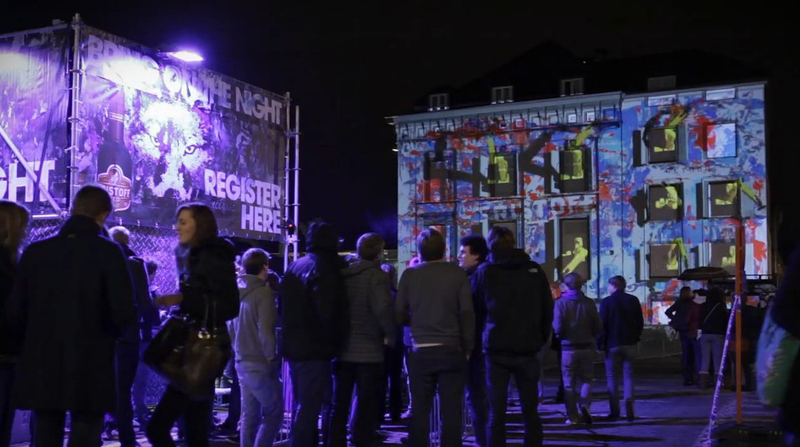 Eristoff vodka brand has carried out in the city of Ghent (Belgium) an original initiative that is approaching people to offer them a brand experience making them to have a good time. For this reason, advertising agency Design is Dead you have created a game environment only on the side of a building in St. Peter's square by combining a 3D mapping projection live with a game controlled by iPad to capture the attention of young partiers and offer them the chance to win a pair VIP tickets Belgium I Love Techno Festival. With a strong emphasis on the visual performance, the game was based on the interactive mapping architecture. Thus, Design is Dead has created stunning graphics and animations in 3D that maintain the visual identity of Eristoff within a play of light and sound experience not only attractive and very fresh, but also incredibly fun, getting the interaction with the public. 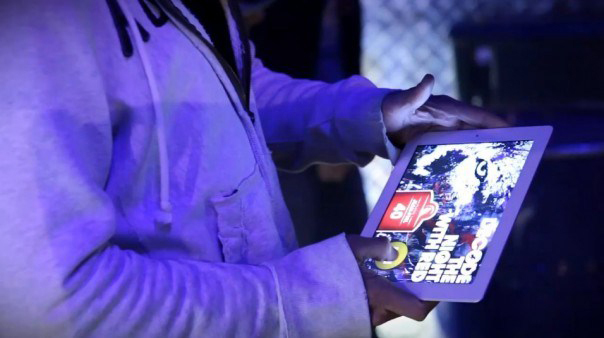 People used iPads to play a game in real time of a classic game of shooting, aiming and firing the projections that appeared in the windows of the building to try to get the highest score. In this way, as well as see the projection, experience increases as you create a game interaction, competition even among participants and, ultimately more and better experience.